We are pleased to release this article by Head of Strategic Development, Gerry Afentakis, on Funding the SME Gap. In virtually every economy in the world, small and medium enterprises (SMEs) serve as the engines of growth. 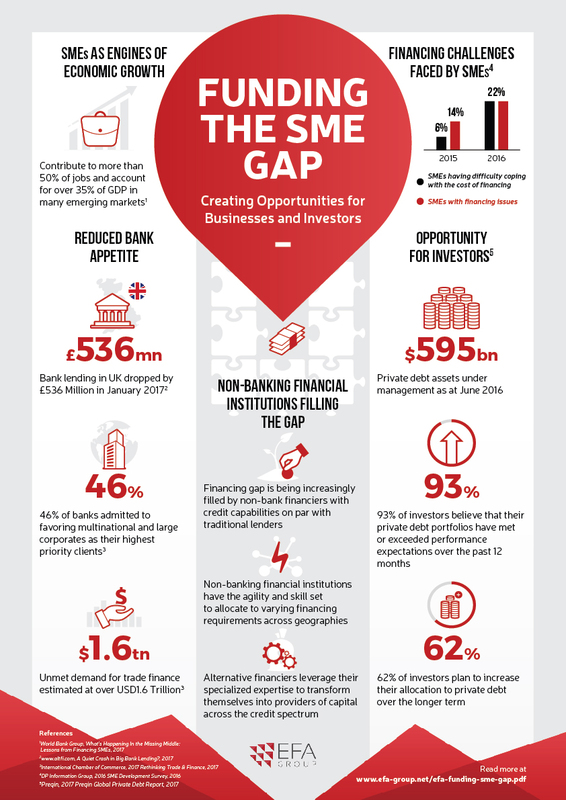 But SMEs continue to be increasingly underserved by financial institutions. This has created a need for alternative sources of capital to fill the funding gap. Businesses are turning to non-bank financiers, such as funds, to supplement their access to capital. For investors, this is good news. Through proper execution, providing liquidity to robust SME businesses via direct-lending vehicles not only generates outperforming and uncorrelated return, but contributes to the growth of these corporates and their respective economies as a whole. Click here to find out who businesses are turning to for access to capital, and how investors are finding opportunities in the funding gap.